These ZAAZEE classic premium two-tone full length leggings feature a strong bold stripe design and will put you in the mood for a great workout. Made from figure hugging super stretchy supplex fabric these leggings will hold you tight and feel amazing on. Perfect for anything active, inside the gym or out - combat, running, boxing, cycling, climbing and more. Available in Jet Black / Arctic White and Jet Black / Yellow. "I've tested all the leggings and this pair is truly remarkable, it's something special. The black and yellow look amazing together, pair with a black top, or if you are feeling super confident, wear with the yellow ERIN and nail that workout. You will see. " "Cannot wait to wear these with my yellow Erin Performance Top. Will look fab as well as feeling great for my workout. " 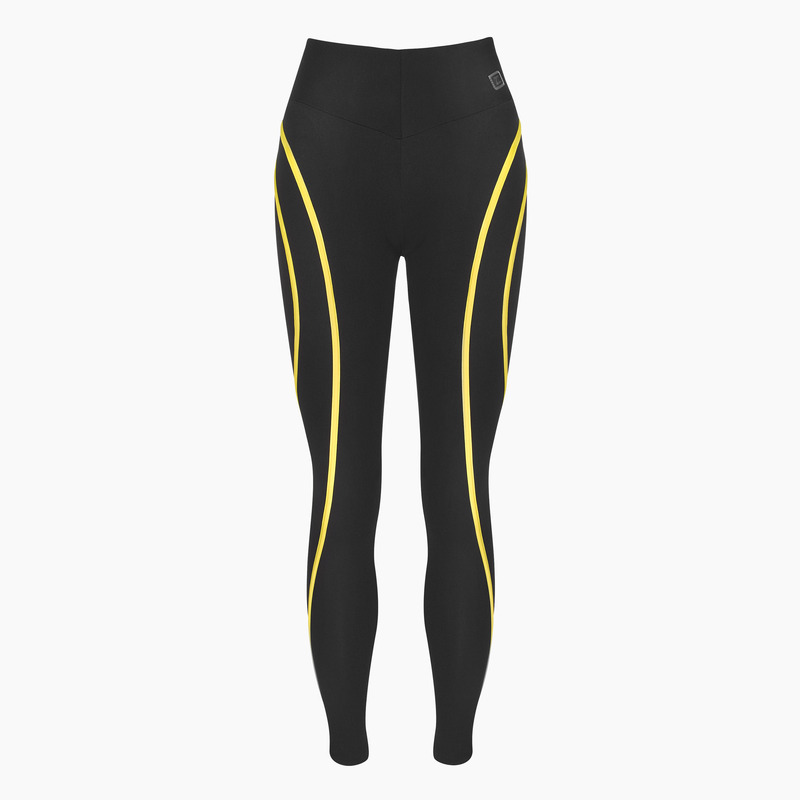 "Bought these to go with my Yellow Erin top, Luxurious thick fabric, perfect for running and cycling. Absolutely love them. " "I've had these leggings for a few weeks now and I love them! I use them mainly for Crossfit, so they get put through a lot, including lifting , jumping, crawling etc. They perform superbly (no 'hoicking' required at any point) and they look as good as they feel. The fabric is soft and thick with lots of stretch, so it passes the squat sheerness test with flying colours. Super product, highly recommended!"